Home→Blog→$implicity→Question for The More With Less Mom: How do I calculate food cost per month? 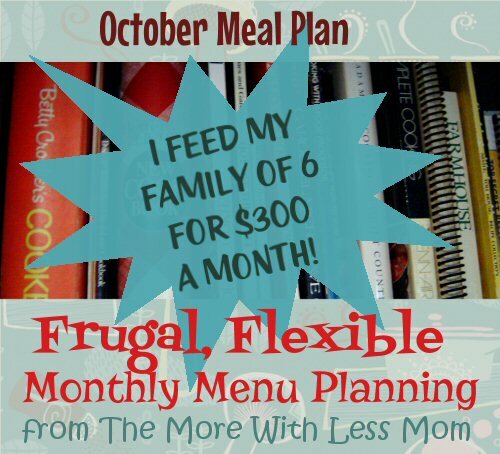 Question for The More With Less Mom: How do I calculate food cost per month? How do I calculate food cost per month? The answer really depends on whether you are just tracking your spending, or creating a food budget. If you are trying to track expenses, the best method is different for everyone. The easiest way is to save all of your receipts (start getting them if you don’t already) for a week and add them up at the end, then multiply by the 5 weeks in a month. This is not the most accurate method, but will give you an idea. For an accurate measurement you need to track your receipts for an entire month. Since different things will happen each week, the number will be different and you need a full month to get a good picture. Also sometimes you are “good” for the first week since you know you’re keeping track, and then relax your vigilance as time goes on and you spend more. You have to keep track of every single purchase. That one $3 coffee you buy once a week cost you $159 a year. No judgment, you are the best judge of what is worth your money, just cover everything so your total is precise. There’s nothing like going to all the trouble of working out a budget and then sabotaging yourself with untracked purchases. If you are trying to create a monthly food budget you should start with what you are currently spending, by tracking your current purchases. A price book is a very important tool for tracking food spending. This does not need to be a big, complicated thing. I have a spreadsheet in Excel where I keep the average prices for the things I buy. I check off a box on my sheet when I make my shopping list, just print those lines, and know exactly what I will be spending when I get to the store. If you want the lazy man’s method write down what you remember eating for the last week, estimate the prices for eating out, coffees and work snacks, and ingredients for meals – search the site of a local grocery store with online prices, or use NetGrocer.com or Wegmans.com. Then add this all up. This will give you a vague idea of what you are spending. Alternatively, as before, you can start by tracking a week and then multiplying, and if you like where that gets you keep a record of things for a longer period. For one week write down everything you eat and food you buy (it’s only a week – you can do it!). This includes all meals, drinks, snacks, work lunch splurges, dinner out, etc. If you happen to be shopping you can write down the price so you have it later. You can have a separate budget line for eating out, it’s better to eat out when you want and budget for it (or decide you won’t and stick to it), than decide you’re going to cut it and then give in and go out anyways. Take your receipts, or your list, or your other tracking method, and make yourself a mini price book/list. List your ingredients and other foods and the price you paid, and add it all up. If you don’t have a price you should be able to get one online as I detailed above. Once you have your week’s worth of food you multiply it by 5 to get a month, unless you were a good doobie and kept track for the full month. Keep in mind expenses do vary month to month so even if you were meticulous about tracking it will still go up and down from that point. I’ve never calculated my food costs but will give it a whirl… I’ll probably be scared and depressed when it’s over (LOL). Cheers from Motivation Monday! It’s hard to start but it’s a very useful tool.